Hollyhocks are a mainstay of the traditional cottage garden. In fact, so close is the association to this particular garden style that they can be accused of 'by proxy' type casting. Why? Because they are so iconic to that particular setting, they are almost never used in any other garden design - and that is a real shame! Massive leaves, enormous height, and flowers as numerous and as colorful as anything that you will see in a tropical rain forest. Therefore, gardeners need to see past their preconceptions and realize that this highly impressive yet inexpensive plant can be a star performer in any garden, so long as it is planted in the right place. The easiest way to grow Hollyhocks from seed is to grow them outside in shallow drills 9 inches apart, in June or July. Once they have germinated they can either be thinned out and left where they are or allowed to grow on until September or October where they can be lifted and planted into their final position at a distance of 24 inches apart. 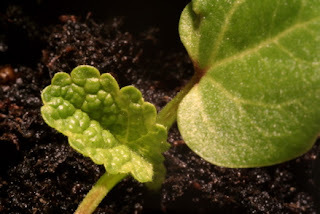 If you want to get an early start then you can sow your hollyhock seed indoors as early as February. To begin with, sow seeds onto the surface of a good, free-draining, damp, good quality compost such as John Innes 'Seed and Potting'. Cover the seed with a very fine sprinkling of compost or vermiculite. Place in a propagator or seal container inside a polythene bag at a temperature of 15-20C (59-68F) until after germination which usually takes 14-21 days. Do not exclude light as this helps germination. Alternatively, sow in late summer in a cool greenhouse and then overwinter plants in cool, well-lit conditions. Plant out the following spring. This method produces larger plants and is recommended if the soil is heavy or badly drained. Transplant seedlings when large enough to handle into trays or 7.5cm (3in) pots. Gradually acclimatise plants to cooler conditions for a few weeks before planting out after all risk of frost 45cm (18in) apart. Hollyhock flowers are borne in long succession on tall stems up to 3 meters high. They come in a range of rich and delicate colours, from the deepest crimsons and maroons, to blush pinks, whites and pale yellows. Most hollyhocks are technically biennials - producing leaves the first year and flowers the next. However they will often last longer than two years and so can be described as short lived perennials. Hollyhocks love a deep, rich, loamy soil - but they will often thrive without it. Because of their height, plant hollyhocks in a sheltered position, but if this isn't possible then they will need to be staked for support. Water freely during dry weather and apply and annual mulch of well rotted manure in the autumn. There is a long succession of flowers, and as the lower blooms fade they can be picked off so that the plant is not weakened by producing seed. TOP TIP. When flowering is over for the season the plants may be cut down to about 15 - 20 centimeters high and the stump covered with wood or coal ashes - if available. This will help to keep the slugs and snails away, allow water to drain away from the soft stem, and keep your hollyhock plants going for several more years that you could otherwise expect.